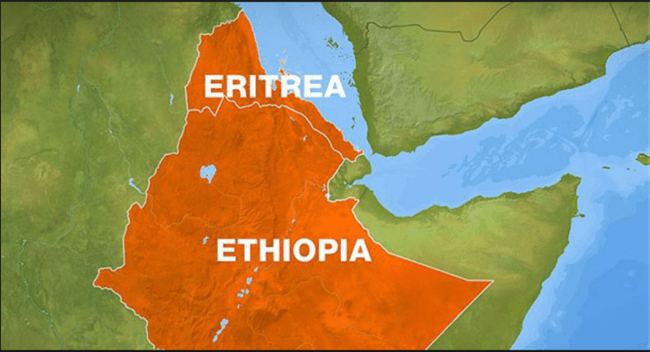 Ethiopia and Eritrea have declared their “state of war” over after landmark talks between the neighbouring countries’ leaders, as part of a historic agreement that will see the opening of embassies, development of ports and resumption of flights. The sudden rapprochement ends a decades-long cold war over border disputes that hurt both countries. Eritrean Information Minister Yemane Gebremeskel, quoting from a “Joint Declaration of Peace and Friendship,” said on Monday that “a new era of peace and friendship has been ushered (in)”. The agreement was signed by Eritrean President Isaias Afwerki and Ethiopian Prime Minister Abiy Ahmed on Monday morning at the state house in Asmara, the capital of Eritrea. Check out Al Jazeera for more information.